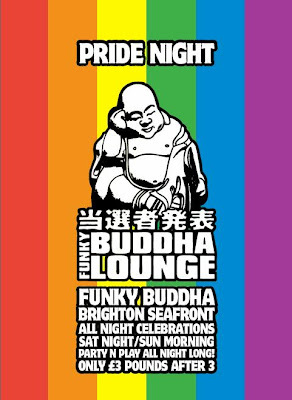 Disco Deviant drop in to Brighton for a Pride special - they've chosen the Worlds End for its proximity to Preston Park. A nice roomy boozer with a decent soundsystem and the drinks are cheap as chips. It'll be fun and games for sure with a free and easy attitude and a crew of fine DJ talent onboard. We'll also have the BIG SCREENS on with visuals and live cams livening things up. I have been away for a bit - getting married and honeymoon - we had a hell of a party and totally went for it with Greg Wilson playing at our reception. Brilliant times! Anyway the stuff I have to post has kind of popped up on the ipod or old cd I put on looking for suitable background music for the wedding breakfast. A superb intro glides you sneakily into a track that wouldn't normally raise a lot of interest from me. I remember the days when my friends and djs would cover labels to avoid prejudice toward this kinda track. It's a superb remix of Erasure - Ship of Fools. Give it a whirl. Again a mainstream artist has caught my attention, Ashley Beedle has doe a sublime job on one of Elton Johns best. The original was caned by the Aficionado crew, mainly Moonboots I believe, there was a release and top ten chart success, so I guess Ashleys mix was commissioned then. I'm just glad it was! Okay so there's a load of retro for ya, maybe I should include something a little fresher....maybe not. Here's another 80's band that I really loved at the time. 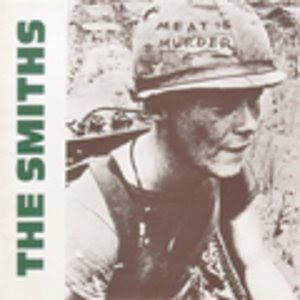 The Smiths were sarcastic and antagonistic, with Vegetarian slogans and Morrissey's strange sexual appetite. Their music was what made me like the band - the other thing was their album artwork, they were great covers weren't they? The politics were a bit tiresome, but I never really took it seriously anyway.